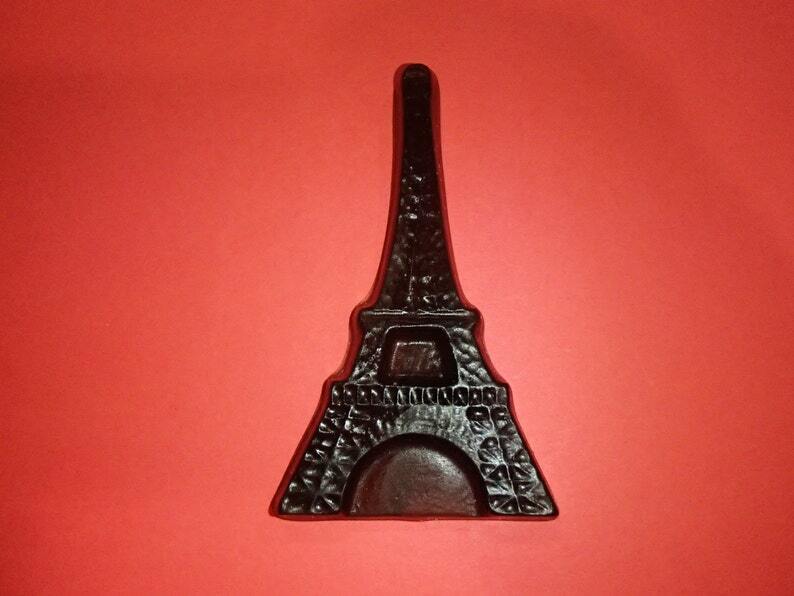 The soap is in the shape of the Eiffel Tower. It weighs ~0.5 ounce. It measures ~3 inches in height and ~2 inches in width and ~0.25 inches thick. It is scented Love Spell and colored black.